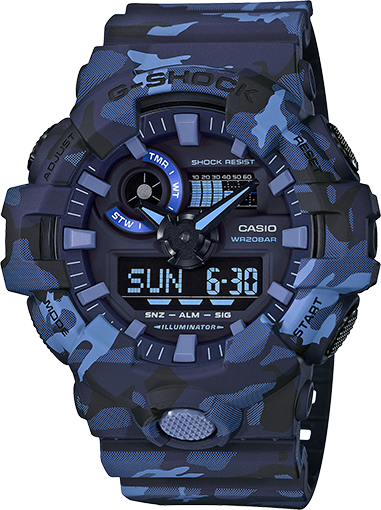 G-SHOCK is the watch brand that is always finding ways to incorporate world culture icons into exciting new designs, and these new models are themed on the camouflage patterns that are very much a part of today's fashions. 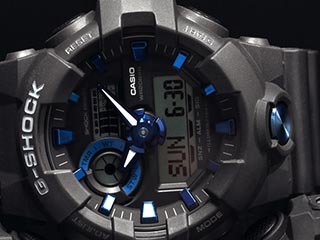 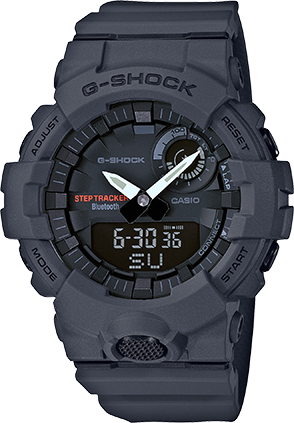 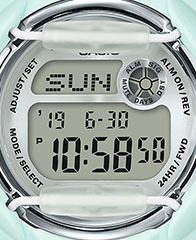 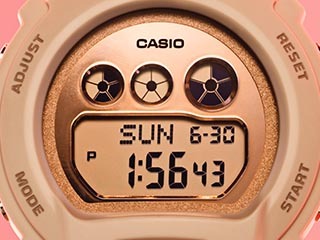 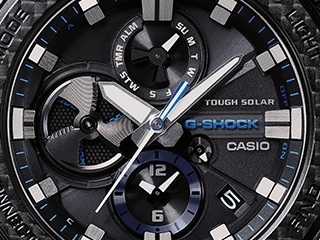 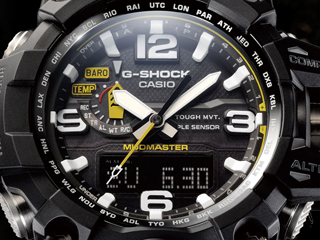 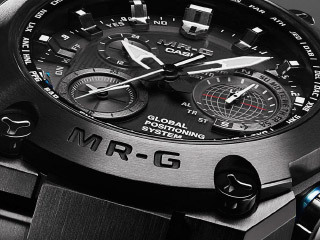 The base model is the GA700, whose main feature is its iconic front button. 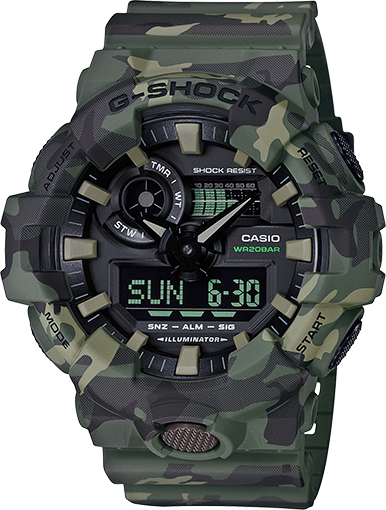 The band is decorated with an authentic camouflage pattern, and the surfaces of the cases and bands are printed using technology that makes it possible to show more printed surfaces than normal, allowing a total of four colors, in addition to the base resin color. 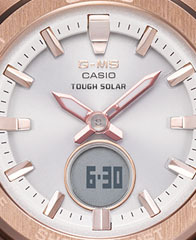 The models of this lineup come in one of three standard colors: navy blue, khaki, and gray. 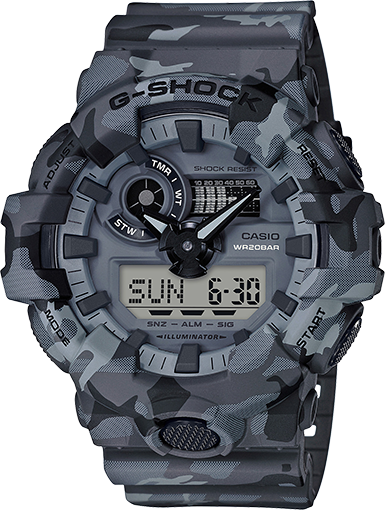 Realistic camouflage patterns add a subdued touch to the GA700 for a truly modern design.